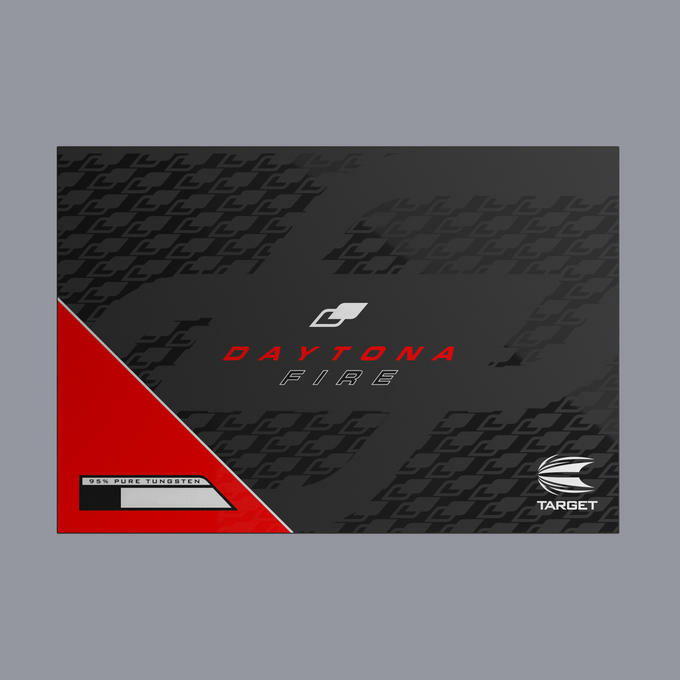 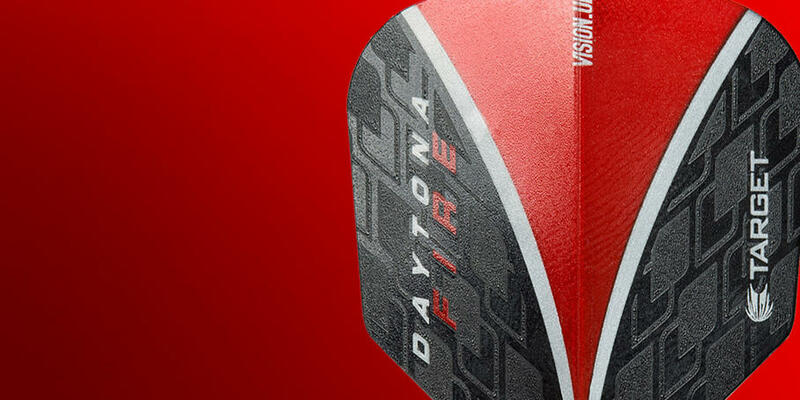 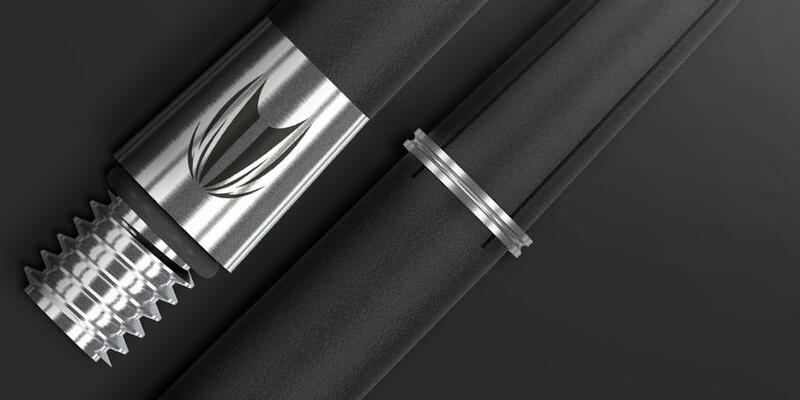 Inspired by the design and perfect form of Target's peerless Elysian dart, Daytona Fire shares the same distinctive trapezoidal prisms, precision machined into 95% pure tungsten, and overlaid with a Titanium Nitride performance coating. 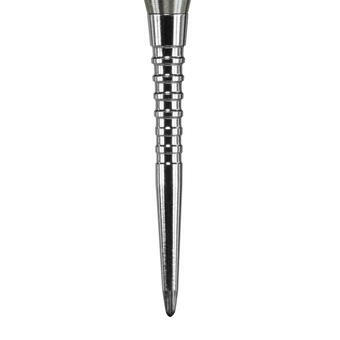 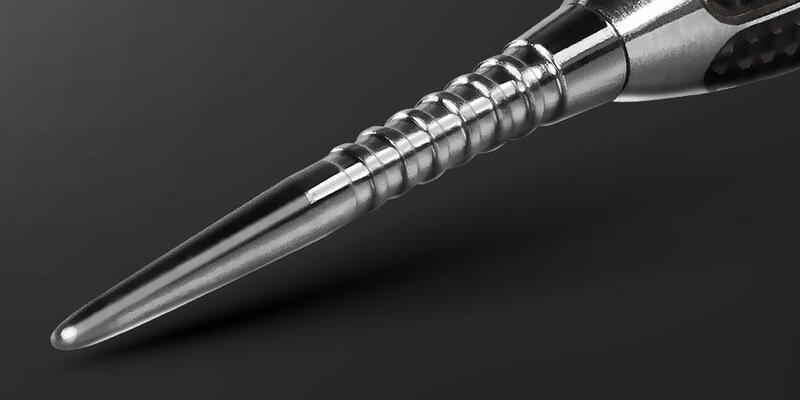 Target's Storm Point, uniquely designed and fully machined profiled dart point with deep cut grooves for ultimate finger grip. 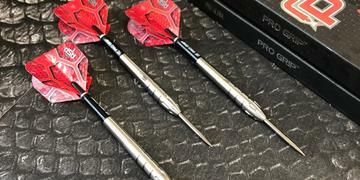 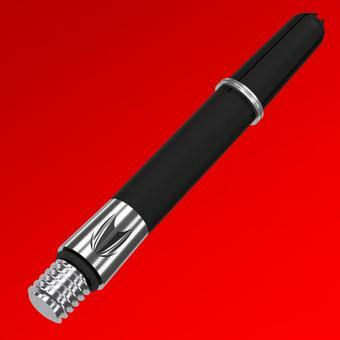 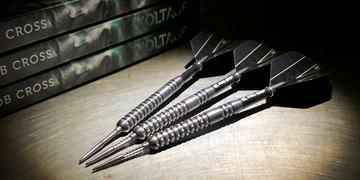 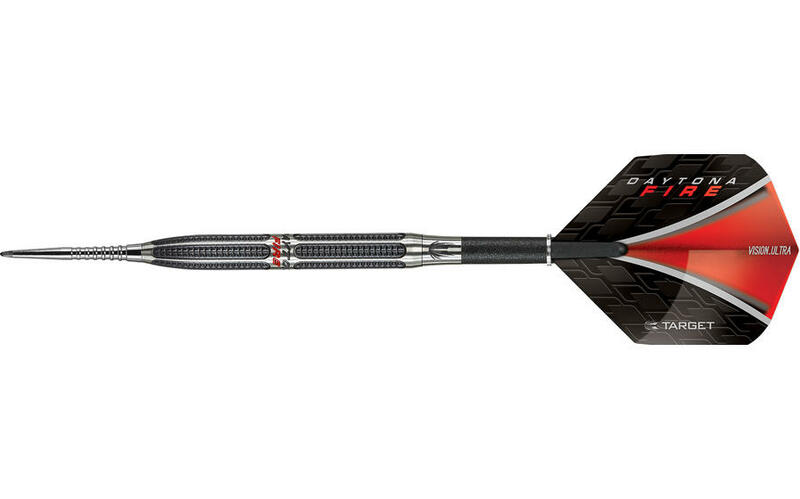 Creates the and feel of a one-piece dart, for reduced flight deflection. 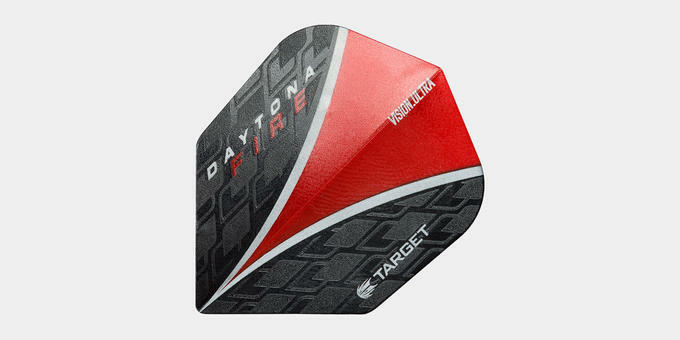 Target Vision Ultra flights feature a spot UV print to enhance flight to shaft grip.